The Establishment Media was very quick to trot out longtime Barack Obama adviser, Valerie Jarrett to get her thoughts on the scandal-of-the-day – Roseanne Barr’s Twitter rant against Ms. Jarrett’s Muslim Brotherhood affiliation that was condemned as racist. Note who Jarrett is seated between. On her right is MSNBC host Joy Reid whose blog posts outlined repeated and shocking anti-gay bias. Reid claims her blog was hacked – and then apologized. On Jarrett’s right is racist/bigot-peddler, Al Sharpton. Mr. Sharpton has long attacked the Jewish community, police officers (primarily white police officers) and homosexuals and has spent the last handful of years attempting to revise that past – and making a very good living while doing so. And here is Jarrett, sitting between those two figures, spouting her “teaching moment” nonsense while nobody dares question Jarrett and her very troubling yet well-documented affiliation with the anti-gay, anti-woman, terrorist organization known as the Muslim Brotherhood. How hard would it be for someone, ANYONE, in the media to simply ask Ms. Jarrett why she is so close to a group the U.K government, among others, officially designated a terrorist organization? REPORT: NSA Offered To Give FBI All Of Hillary Clinton’s Missing Emails. Comey Said NO. The New York Post’s John Crudele had an interesting column outlining how the bogus Democrat/Media/Deep State instigated Trump investigation is backfiring on Democrats as the American people grow increasingly weary of repeated allegations without actual proof. Beyond that fatigue is something even more concerning for Democrats. The investigation is actually shedding light on wrongdoing by figures like Hillary Clinton and James Comey – NOT Donald Trump. There’s a lot going on in the Hillary Clinton/Donald Trump/Russia investigation that all the highfalutin’ newspapers that cover politics are still trying to ignore. Well, investors had better know this stuff before it bites them in the assets. So here goes. Remember, the Republicans now control this committee. So bad news isn’t going to be stifled anymore. Clinton’s emails, which were stolen by the Russians, have never been found. But as I’ve mentioned numerous times, the messages are still in the possession of the National Security Agency (NSA), which offered to give them to the FBI. Clearly James Comey was involved in covering up for Hillary Clinton while at the same time weaponizing the FBI to be used against Donald Trump – both very serious miscarriages of justice. Here’s the thing – Comey has already indicated how his actions were colored by input from then-Attorney General Loretta Lynch of the infamous secret snakes-on-a-plane meeting with Bill Clinton. 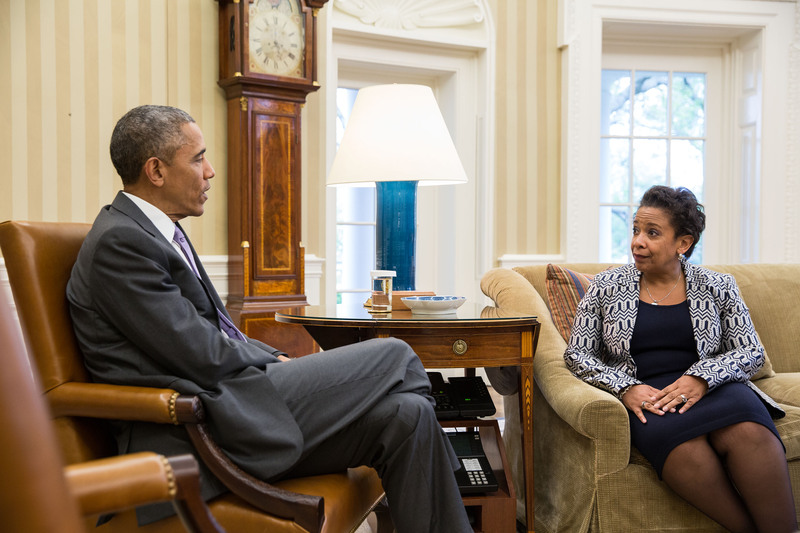 Loretta Lynch answered only to Barack Obama and Valerie Jarrett.